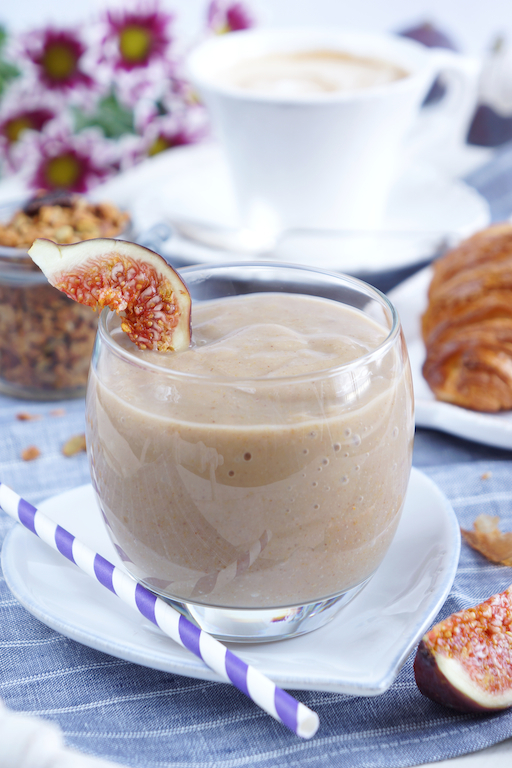 Start your day with a smile with this ‘Fig Banana Smoothie’! The added cinnamon lends it an intriguing hint of sweetness – a real smoothie thrill! After having spent a week in India being spoilt by dear friends with a succession of ever richer dishes I’m glad to be dialling down my food intake a little – a smoothie is the perfect antidote! Smoothies are a great source of nutrients and can easily replace a meal – allowing you both to stay healthy and to control your weight. 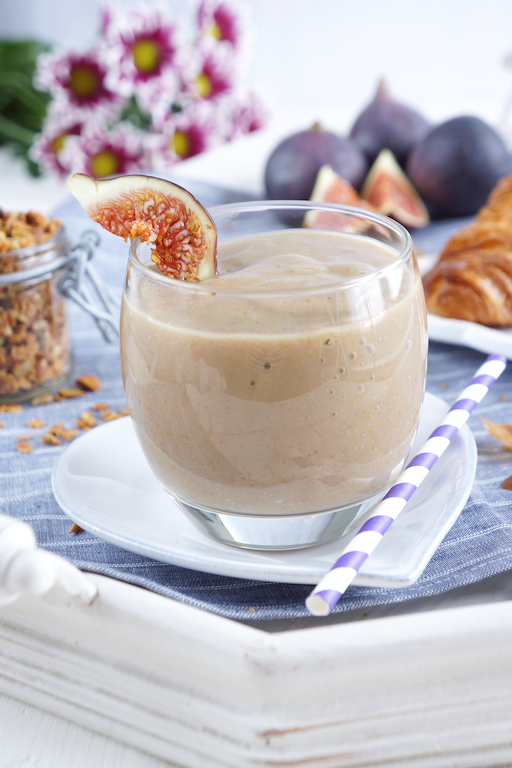 Next breakfast-time, try a milk or yoghurt base smoothie topped with oats, nuts, seeds and/or dried fruits. 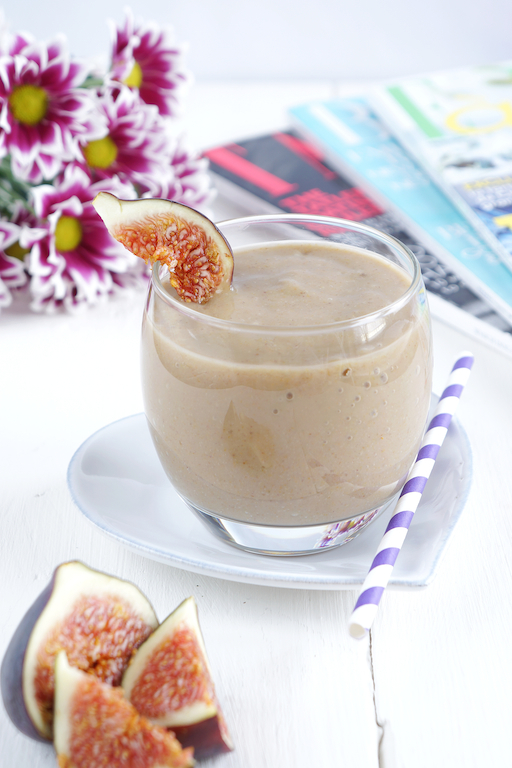 Figs are famously rich in fibre and therefore beneficial to your entire digestive system. Less well-known is that they are also filled with calcium – 2 dried figs contain more than a large boiled egg (28mg vs 25mg) – great for bone density. Their natural potassium content also assists the body’s ability to retain the calcium. Like it sweeter? Add honey, medjool dates or goji berries to your smoothie. For more antioxidant benefits, add 1 tbsp of almond butter. Use frozen bananas for a more chilled smoothie. Top it with granola, nuts and / or seeds for a more filling and nutritious breakfast. 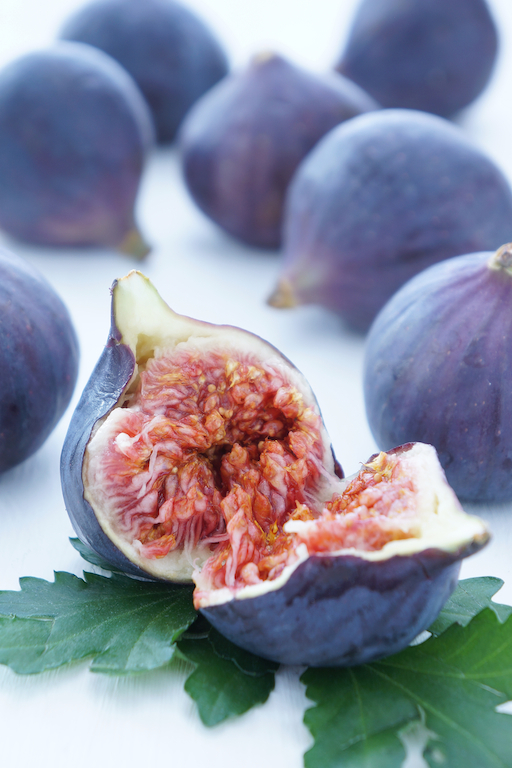 The fig is actually an inverted flower – the male and female flower parts are encased by stem tissue, thereby creating the “fruit”. This container is called a syconium (inside out flower cluster). The seeds we see inside are unfertilised ovaries that have not matured. This entry was posted in Food, Food Photography, Food Styling, Health, Recipes and tagged photography, raw, smoothie, vegan, vegetarian by Françoise La Prune. Bookmark the permalink.